Brain training promotes managing stressors, negative thoughts, and building focus and resiliency. A self-reported scale can build your self-awareness so that you are confident about your brain training results. The recommended amount of neurofeedback sessions depends on goals and timeframe. Learn why. Neurofeedback Training Co is the largest NeurOptimal® rental company. We have helped thousands of clients complete successful brain training. A frequent question clients ask is, "How many neurofeedback sessions do I need?" Learn the answer to this and other frequently asked questions ahead. training that fit our clients' needs. Rather than follow a prescribed amount, clients discover how many sessions are right for them and their children. How many neurofeedback sessions do children need? As recently as the 1960s, neuroscientists thought that a babies were born with pre-determined brain functions. In the 1990s, the advancement of imaging technology allowed scientists to see that children actually have billions of unassigned neurons, which are the pathways for brain communication and function. This means that brain function is always changing. It is estimated that in the first few years of life the brain creates one million neuronal connections per second! Children make new neural connections as they learn and cement that learning by growing these connections. Children have more flexible and adaptive brains than adults, though research shows that adult brains can re-wire themselves throughout life. We certainly see the evidence of how flexible children's brains are when they practice neurofeedback. In general, parents report that children respond more quickly and maintain changes longer than the adults in the family. Families training using a home neurofeedback kit typically rent for 2 to 3 months before they are satisfied with the results. Typically, satisfaction is measured by academic improvement. Home training is safe and can be used daily. We advise parents to create a schedule that fits the child's schedule and extracurricular activities. The average family renting NeurOptimal® trains 2 to 4 times a week. will I know if the neurofeedback is working? This is the sister questions to how many NeurOptimal® sessions are needed. We give our rental clients a step-by-step guide so they will have the most successful outcome from training. The first task is for them to fill out the checklist so that they can observe the areas where they want to improve. We ask all clients, regardless of whether they are renting or training in-office, to fill this checklist out every 8-10 sessions. This checklist is key because it gives a numerical value to your goals and allows you to track your changes over time. Seeing the numbers change is a sign of progress! During the first 8-10 sessions, numbers typically drop by 3. For example, if "Difficulty concentrating" or "Often worry" starts at a value of 9, it is often reported to be a 6 after 10 sessions. These reporting tools also improve self-awareness. One of our goals as neurofeedback coaches is to help clients notice how they are feeling. Noticing subtle changes helps you get ahead of your feelings, and maintain a sense of focus and calm. Self-awareness is the first step to success, because it key to identifying which tools will help re-regulate the mind, whether it is a neurofeedback session, going to be early, or getting to the gym. Why do people try neurofeedback? 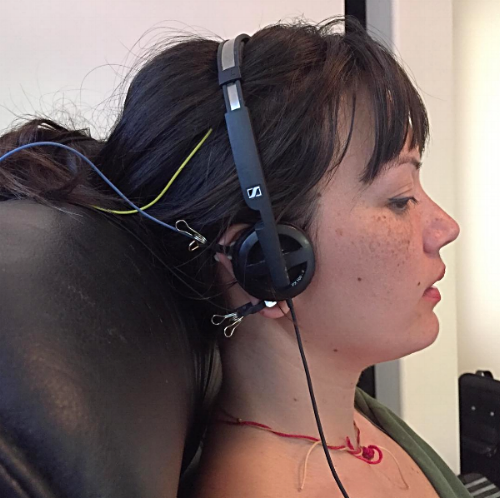 People try neurofeedback to help with a wide range of mental and emotional goals. Some want symptom relief, others want to improve their focus as school or work, some want help managing emotions. And some people try neurofeedback for sleep management. Many people who try brain training understand that like other areas of their bodies, such as their heart and muscles, they need to train them to stay performing at their best or improve. The brain is prone to being habitual, we can see it in our behavior in simple ways, like how we get up in the morning, our body follows a habitual pattern for what we do and in what order. First, we brush our teeth, then we start the coffee, then we take a shower. It is a form of efficiency. The same understanding of being stuck in habits can apply to ones that do not serve us, like yelling at the cabbie, or being in a mental fog. Neurofeedback helps us reset those habits, whichever ones are personal to our goals. Everyone has different goals. Some people start running to lose 30 lbs and stop when the weight is off. Others incorporate running into their daily lives in order to maintain a routine. Likewise, some clients rent a NeurOptimal® unit from us because they have specific, short-term goals that they want to achieve in a certain timeframe, like running a session every day for a month before a big exam, and a home neurofeedback kit is most convenient. Others purchase a system because want to incorporate neurofeedback into their long-term mental fitness plan and have a session weekly for the rest of his or her life. Neither one is right, the goals are simply different. Who Benefits From Neurofeedback Training? With neurofeedback home rentals, those with short-term goals often rent for 2-3 months and return the rental once they feel their improvements are stable. It is advisable to rent again for a tune-up six months or a year later, as new stressors pop up and clients often need a boost to get back to their regular brain health routine. This short-term approach is most popular for people with specific complaints, such as executive functioning or performance anxiety. Once these symptoms are under control, many find that boosting once or twice a year is enough to maintain results. The people with the goal of on-going optimization of mental and emotional fitness often start with in-office sessions or renting and realizes after a few weeks that the NeurOptimal system does a lot more than just help them with the issue that led them to start training. They start experiencing what the system was designed to do-- increase natural re-regulation and help maintain optimal brain functioning. People with stressful lifestyles, children with on-going stressors, and professionals who want to keep their minds as sharp as possible often fall into the "on-going optimization" category. Long-term neurofeedback training becomes integral to their routine for maintaining mental clarity, keeping their moods calm, and minimizing emotional reactivity. Those seeking long-term benefits often decide to purchase a system instead of renting. This is the most cost efficient option if you fall into this group. We offer a $100 refund on your rental, if you decide to purchase after renting. Knowing why you are training can help you decide for how long to rent and whether you should consider purchasing. 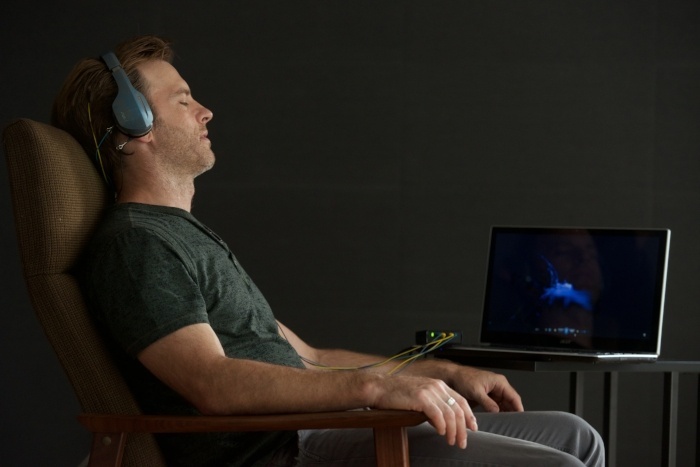 Can neurofeedback make you tired? Neurofeedback, particularly the NeurOptimal® device, which does not force a state change and is purely a feedback system to let you see what is habitual, does not make you tired. Could you feel tired at the end of a session? Yes. The reasons have to do with greater self-awareness of your body and how much sleep you are getting. When busy professionals or parents, who work long hours and do not get the proper amount of sleep, come in for their first neurofeedback session they often fall asleep during the session. It is looked at as a good sign, the body is shifting out of go mode and into rest mode. The software gives feedback to the automatic functioning brain using auditory cues, which the brain is listening to, even when asleep. Any parent who can wake up from a dead sleep when their child callout at night knows that the brain is always listening for changes in the environment. The device is designed to use this tracking system called the orienting response, to deliver the feedback to pay attention. These clients tend to report feeling tired at the end of a session, which is when we take the opportunity to ask them about their sleep hygiene and if they have good sleep management practices. Most often they say that they don't. Neurofeedback helps heighten self-awareness, which in this case, is the body asking for more sleep. Often these clients come to realize that they need to prioritize their sleep and when they do, feel better rested and have more energy. The number of sessions of neurofeedback that you will need is personal to your goals and the life factors that influence your health and wellbeing. When NeurOptimal® doesn't work for someone is when they don't train. 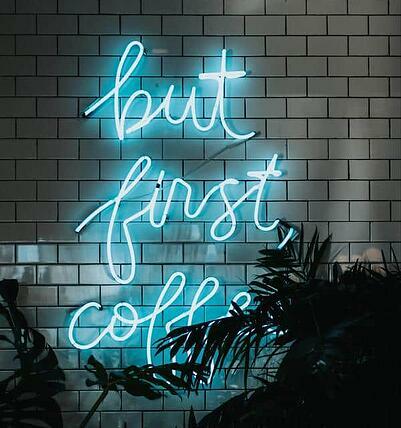 You may think this is an obvious answer but the most common reason clients don't have success is because they stop neurofeedback before they have given it enough time to help them with their goals. not setting a schedule for their sessions. 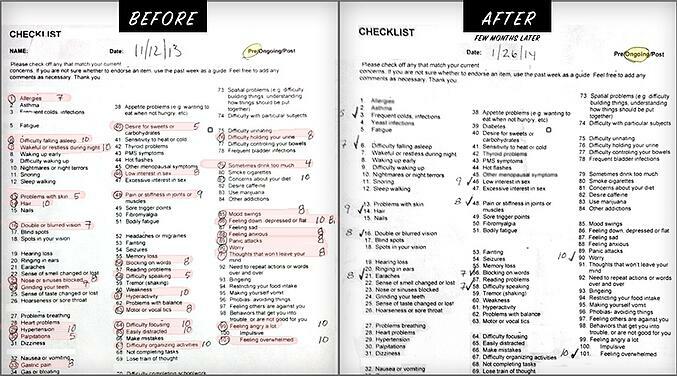 This last reason is the most common reason why clients do not see results from neurofeedback. They don't schedule it. Brain training at home requires a 45 minute time-frame, same as in-office sessions. There are ways to minimize failing to schedule. We coach our clients to schedule at a time that is most convenient, have an accountability partner, and set reminders on their smartphones. NeurOptimal® neurofeedback trains your brain and helps you reset your emotional habits if you can make the time for it. Curious about neurofeedback and want to find out if it's right for you? Schedule a free 15 minute consultation with one of our Certified NeurOptimal coaches. Natalie N. Baker, LMHC, is the founder of Neurofeedack Training Co. and certified Advanced NeurOptimal® Neurofeedback trainer. She holds a Master's Degree in Counseling and has been working as a psychotherapist since 1999. As a practicing Buddhist since 1991 and a meditation teacher since 1998, she combines her Western and Eastern approaches bringing a broader perspective to mental health and wellness. In 2010 she added Neurofeedback therapy to her practice to support changing negative habits on the structure of brain. Expertise: Psychotherapy, Neurofeedback & NeurOptimal Trainer Representative.